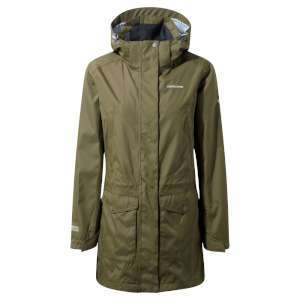 If you're in the market for a classic outdoor jacket that's built to go the distance, try the Craghoppers Women's Madigan III Long Jacket for size. Featuring impressive AquaDry waterproof fabric construction with a longer hem for extended protection, Madigan is a reliable performer in all weathers. There's a zip-off hood for extra protection and plenty of pockets for hiking essentials.